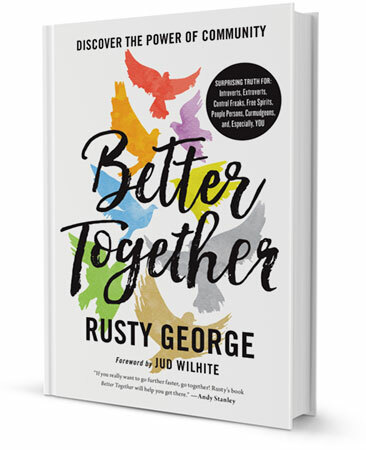 As I read through Better Together, I thought that I should tell everyone longing for community and everyone in a community group to read it. It’s a cut above the cookie cutter idea of community. It’s a call to vulnerability and admitting we do need someone. The pages dive into the “we” of scripture and the Jewish culture. 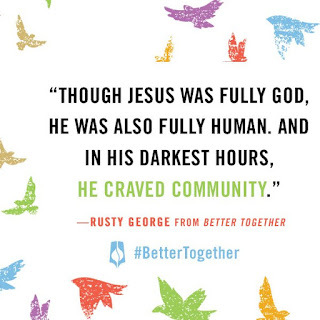 “I remember when WE crossed the Red Sea, when WE were fed by manna, when We heard that Jesus was the Messiah, when wE found out Jesus was alive...” It dismantles the western ideal of me and my experience. It reminds us to take joy in the success of others. This book is full of beauty and reminders of real men like CS Lewis and fictional men like Frodo who found healing in community and went on to heal others in community. It’s grand. Read it. Be encouraged to love again. As we walked over to the rock she told us that she wanted to tell us the reason her encounter was so powerful. Her kids were still asleep in the room and she went to eat breakfast by herself alone. This was the first time she had eaten alone since her husband died three weeks ago. She went on to tell us that she had lost her dad in February as well. Her husband had a heart attack while they were out sailing and he fell in the water. Her daughter jumped in and held his body. Her son then administered CPR. At the ER, she was on her knees outside of the area where he was with her hands in the air praying and believing God for a miracle. She said all of a sudden her hands dropped and she just surrendered to whatever God wanted to do. That's when the nurses came in and told her that they had been working on him for some time and he wasn't responding at all. So she went to the kids and asked if they wanted the good news or the bad news. Good. "Daddy is with Jesus." You know we had to climb up on that rock ourselves. I was honored to get to pray with her. Then, we took a selfie and exchanged numbers. 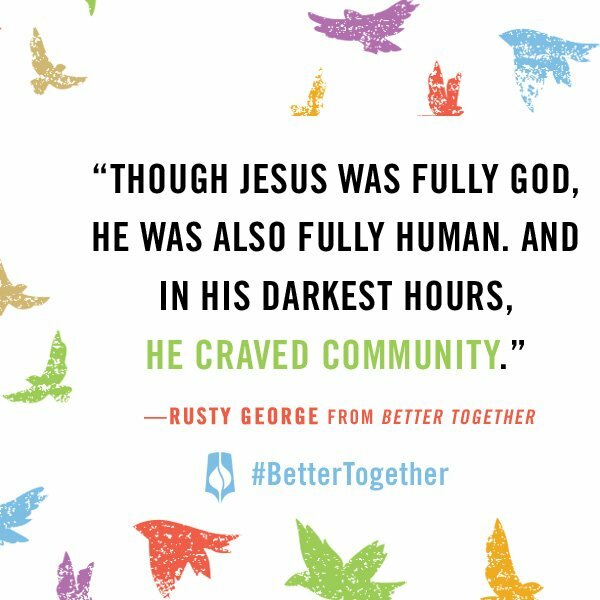 Jesus stuns me with his ability to bring 3 people together that didn't know each other, but needed one another so much.